After a weekend of heavy snow fall, we are snowed in! Peter stayed at home today as there was no way he would attempt to drive down the hill to work. 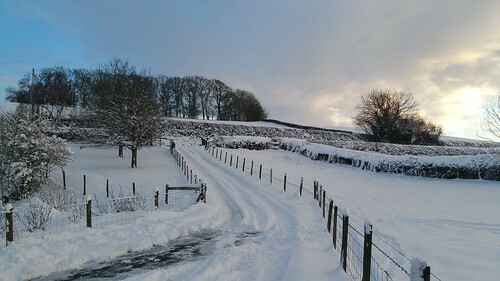 Getting out of our drive alone would have been a challenge with 18 cm of snow and a fair amount of ice too!